Looking to boost organic traffic to the pages that really matter? Below is an SEO strategy for doing precisely that. Everyone’s SEO goal is the same: To rank for keywords that drive traffic and revenue. If you sell insurance, ranking for “what is insurance?” is good, but ranking for “buy insurance” is better. That’s because traffic from the latter is way more likely to convert and increase your bottom line. But ranking pages that have commercial value is difficult. In this guide, I’ll introduce an SEO strategy to help. It’s called the ‘middleman’ method. SEO success comes largely as a result of two things: Backlinks and content. Content is crucial because you can’t rank without it. Backlinks are important because they act as “votes” and show search engines that your pages are worth ranking. NOTE. When I say backlinks, I’m talking about both internal and external links. Informational: Think blog posts, interactive tools & calculators, and any other useful non‐commercial content. Commercial: Think “money pages” that drive revenue. For ecommerce sites, that’ll be your product and category pages. For other businesses, it’ll be your landing pages. Generally speaking, people don’t want to link to commercial content like sales pages. Those have little to no value for their audience. help support a point or statistic they’re mentioning. direct their visitors to helpful content that they may not want to expand on. A prime example of this theory is Hubspot. If we take a look at their top 50 most linked pages, we see that 88% of them are blog posts and free courses. Because people usually link to informational content, it’s difficult to get enough external backlinks to your “money” pages to rank. That’s where the ‘middleman’ method comes in. You have your money pages. Because the vast majority of these people won’t be linking to your money pages, you add a ‘middleman,’ which is a relevant blog post or informational resource. The ‘middleman’ (e.g., blog post) builds “authority,” which can then be passed onto money pages using internal links. The result? More powerful money pages that should help you rank and hopefully bank. Which pages do I link from and which ones do I link to? And how do I use this technique if I don’t have any authoritative pages on my site!? Those are good questions. So let’s go through this, step‐by‐step. This is the easy part. You probably already have a page in mind that you’d like to boost. You want to look for pages that fall somewhere in the middle. With such pages, a small SEO boost has the potential to lead to significantly more traffic and maybe even revenue. Paste your domain into Site Explorer, then go to the Organic Keywords report. 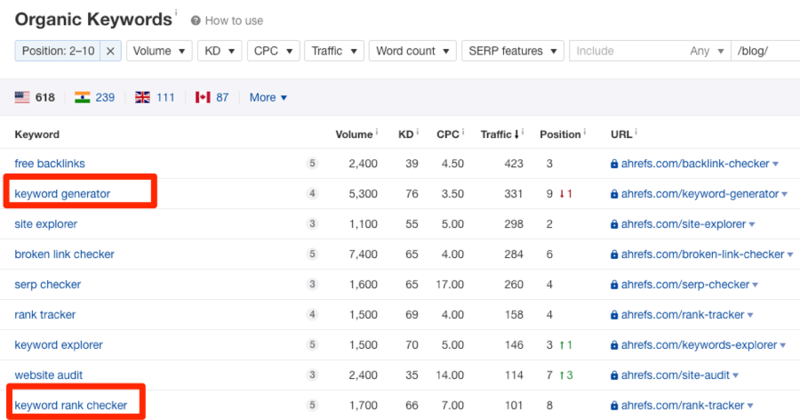 Filter for keyword rankings in positions 2–10. It also makes sense to exclude as much informational content as possible from this report. The easiest way to do that is to exclude URLs containing /blog/ (or whatever subfolder you use for the bulk of your ‘informational’ content) using the exclude feature. Both of those have commercial value for us, so they could definitely use a rankings boost. Now that you’ve identified a page to boost, you need to find strong relevant ‘middleman’ pages from which to add internal links. Change the website and keyword phrase as required. 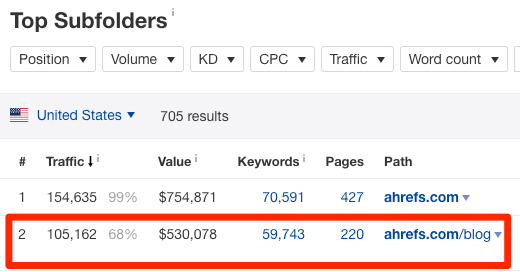 If we were looking for places from which to link to our Keyword Generator landing page, we’d search for something like site:ahrefs.com/blog/ + “keyword generator”. You can see that while this page mentions the phrase “keyword generator,” it doesn’t link to our Keyword Generator landing page. That’s a perfect contextual internal linking opportunity if ever I saw one! But there’s a small problem: there are only three pages that mention the phrase “keyword generator.” So let’s change the query to search for the topic, “keyword research,” since it’s related to the page we want to rank. 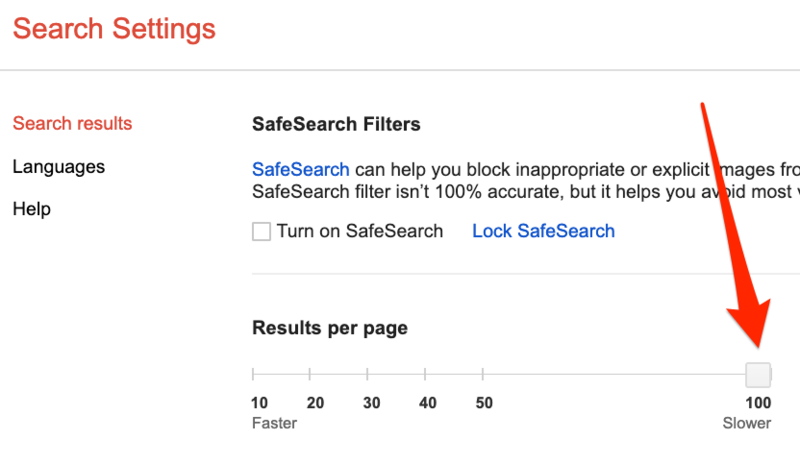 First, set the number of Google search results per page to one hundred. Next, install the Ahrefs toolbar, then hit the download button to extract all the results to CSV. The CSV contains the search results plus a bunch of Ahrefs’ SEO metrics. … the best way to find the pages with the most “authority” is to sort by UR. Enter in the domain or subfolder you want to analyze in Site Explorer, then head to the Best By links report. 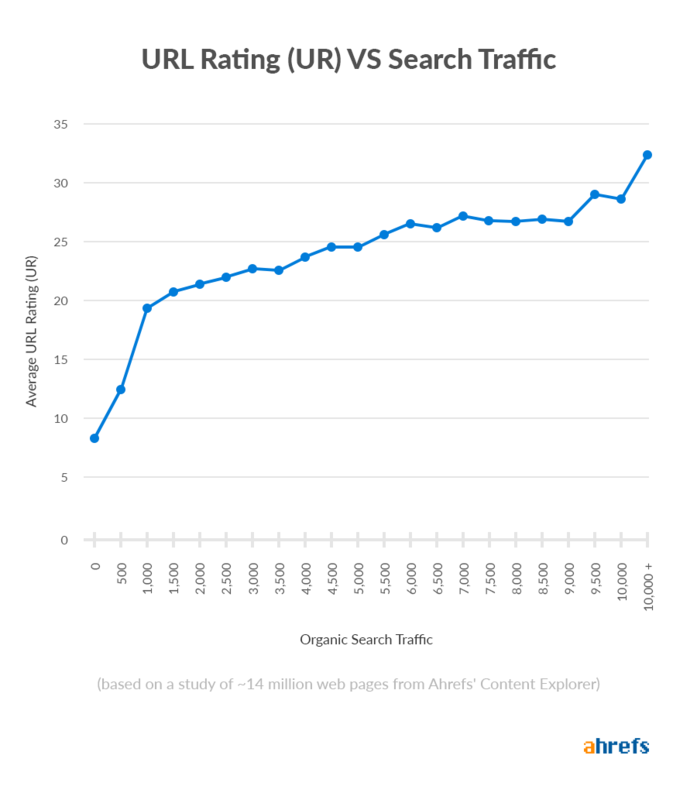 This report ranks the pages from your target by URL rating (UR). If you prefer, you can sort the report by the number of referring domains to each page. All we need to do is skim this list for relevant internal linking opportunities. For example, say that the “money page” we want to boost is our Keywords Explorer landing page. Bingo. That looks like a perfectly‐relevant contextual internal linking opportunity to me. And if we were to work our way through this report, I’m sure we’d find tons of other good opportunities without much effort. Don’t have any relevant pages with ‘link authority’? No problem! Everything above works, but only if you already have strong, relevant pages from which to add internal links to your “money” pages. Not everyone is lucky enough to have those. Head over to Content Explorer and search for a topic related to your “money” page. Content Explorer searches a database of over a billion web pages for those that mention your query. In this case, we get 5,122,135 results. If you’re trying to create content related to a highly‐commercial topic like insurance, you may struggle to find something decent to improve upon that has backlinks. 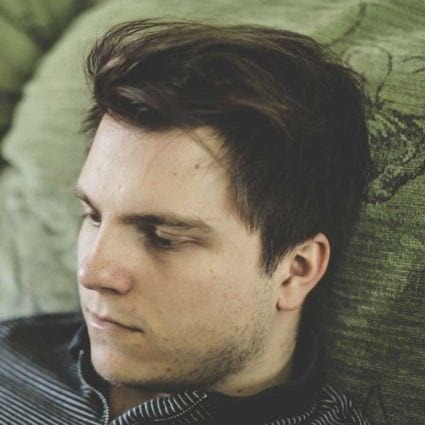 In such cases, you’ll need to think more broadly. A good hack for doing that is to play a game of word association with yourself. Let’s try it for insurance: Insurance > car insurance > cars. Paste that into Content Explorer, add a few filters, and boom, ideas! Just don’t go too far with this idea. Next, set the minimum referring domains filter to something like 50 so that you only see pages with lots of backlinks. Look for pages where there’s plenty of room for improvement. This one definitely fits the bill! Nobody is going to swap out their link for yours unless your content is notably better. That all makes sense, yet it’s important not to do such things for the sake of doing them. For instance, you won’t improve a list of twenty great tips by adding an extra thirty mediocre tips. It might look better at face value, but in reality, it adds nothing of value. What you want to do is analyze the page for points of weakness, then fix them. It’s clear from the title that it hasn’t been updated since 2015! That’s why it doesn’t include cars like the Bugatti Chiron (2016) and McLaren Speedtail (2019). So we could easily one‐up this page by putting together something more up‐to‐date. I’d probably improve the design and the descriptions of the cars too. The final step is to reach out to those linking to the inferior page. To find them, go to Site Explorer, paste in the URL, and head to the Backlinks report. Here, there are 319 groups of similar backlinks. Some of these people won’t be worth contacting, so let’s add some filters to focus on the best prospects. Now we’re down to 25 potential prospects. This group of filters is quite specific, hence the big drop in the number of backlinks. It’s always best to analyze the full Backlinks report manually if possible. That will result in the biggest and best pool of prospects. Next up, all we need to do is find their email addresses and reach out to them. Study the anchor and surrounding text column. This will help you to understand how and why the page got a link in the first place. Knowing that helps with outreach personalization, which will increase your link conversion rate. 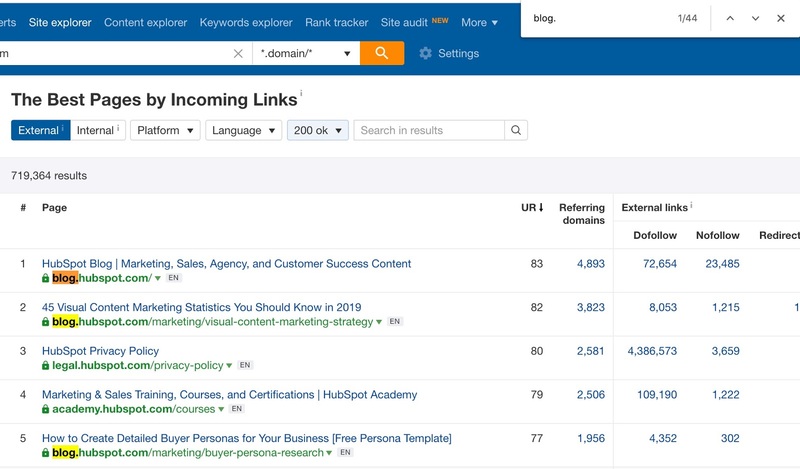 If we assume a 5–10% conversion rate on our emails, and we reach out to 25 people, then that’s 1–2 new backlinks to our page. Not great. Luckily, there are a few ways to increase your pool of prospects. You can read about those in our full guide to executing the skyscraper technique (and getting results). For now, let’s say that we reach out to two hundred people and get links from 5–10% of them. That’s 10–20 links to our page, which should help to boost its “authority” nicely. At that stage, you can use the page as a ‘middleman’ to pass authority to a “money” page. Looks like over ⅔ of all organic traffic in the US goes to the blog. Regular readers will know that we reference and link to Ahrefs’ tools in most blog posts. 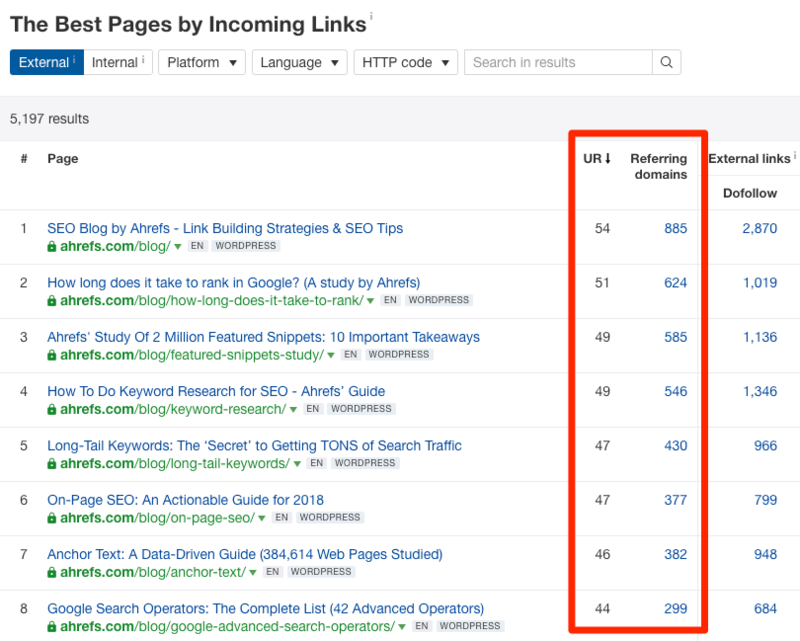 Hundreds of internal links, which almost certainly help our landing page to rank. But I have to be honest: this isn’t some mastermind strategy. Traffic growth to the Ahrefs blog over the past few years via Ahrefs Site Explorer. ARR growth for Ahrefs over the past few years. There’s a clear correlation between our blog growth and our annual recurring revenue (ARR). 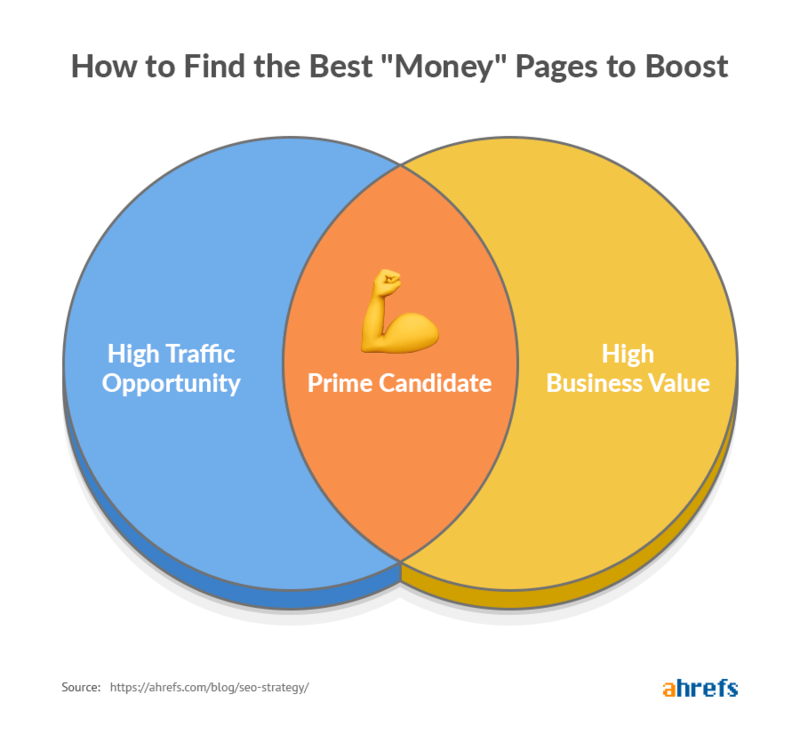 Building an army of ‘middlemen’ isn’t just about boosting “money pages.” Because you’re creating and building links to content, it’s likely that some of your “middleman” pages will start ranking too. The result of that is more targeted traffic and maybe even more customers. Building links directly to your “money pages” is still important. 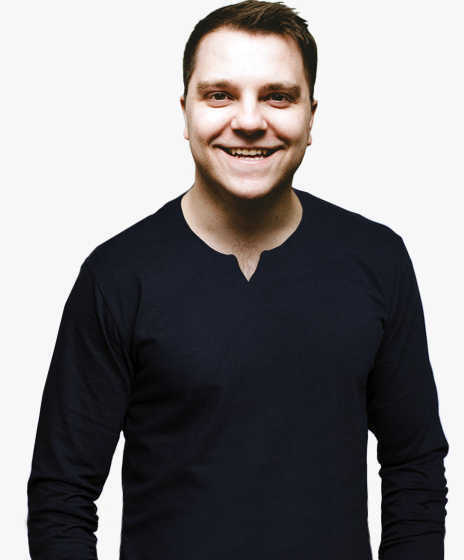 The ‘middleman’ method is merely another weapon in your arsenal for boosting your highest value pages.